First off, if this is the wrong place to request a solution to this sort of problem, I'm sorry. Anyway, I open the gui version of the pack utility and I try to unpack PMD Explorers of sky. One second or two later it displays a window saying that the .exe has stopped working and crashes. I try to use the console version of the pack tool and it gives me the same result. Am I doing something wrong? You can't just use that on the rom file. 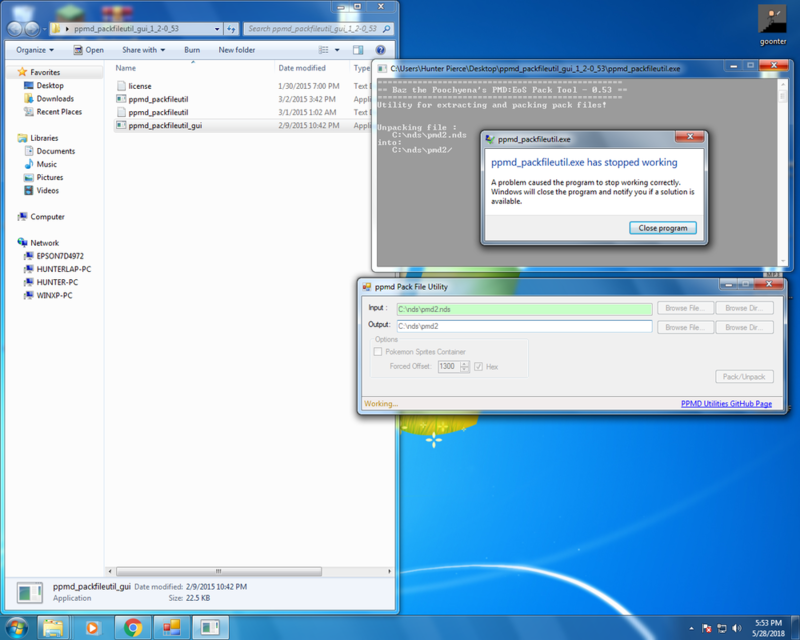 You need to extract the content of the rom and use it on one of the pack files that's listed in the readme. But even then, this tool is mainly meant for researchers/toolmakers since it doesn't do much besides unpack some bin files into its sub-files.